§ 306. Having thus sketched out a general history of the origin and adoption of the constitution of the United States, and a summary of the principal objections and difficulties, which it had to encounter, we are at length arrived at the point at which it may be proper to enter upon the consideration of the actual structure, organization, and powers, which belong to it. Our main object will henceforth be to unfold in detail all its principal provisions, with such commentaries, as may explain their import and effect, and with such illustrations, historical and otherwise, as will enable the reader fully to understand the objections, which have been urged against each of them respectively; the amendments, which have been proposed to them; and the arguments, which have sustained them in their present form. § 307. Before doing this, however, it seems necessary, in the first place, to bestow some attention upon several points, which have attracted a good deal of discussion, and which are preliminary in their own nature; and in the next place to consider, what are the true rules of interpretation belonging to the instrument. § 308. In the first place, what is the true nature and import of the instrument? Is it a treaty, a convention, a league, a contract, or a compact? Who are the parties to it? By whom was it made? By whom was it ratified? What are its obligations? By whom, and in what manner may it be dissolved? Who are to determine its validity and construction? Who are to decide upon the supposed infractions and violations of it? These are questions often asked, and often discussed, not merely for the purpose of theoretical speculation; but as matters of practical importance, and of earnest and even of vehement debate. The answers given to them by statesmen and jurists are often contradictory, and irreconcilable with each other; and the consequences, deduced from the views taken of some of them, go very deep into the foundations of the government itself, and expose it, if not to utter destruction, at least to evils, which threaten its existence, and disturb the just operation of its powers. § 309. It will be our object to present in a condensed form, some of the principal expositions, which have been insisted on at different times, as to the nature and obligations of the constitution, and to offer some of the principal objections, which have been suggested against those expositions. To attempt a minute enumeration would, indeed, be an impracticable task; and considering the delicate nature of others, which are still the subject of heated controversy, where the ashes are scarcely yet cold, which cover the concealed fires of former political excitements, it is sufficiently difficult to detach some of the more important from the mass of accidental matter, in which they are involved. § 310. It has been asserted by a learned commentator,1 that the constitution of the United States is an original, written, federal, and social compact, freely, voluntarily, and solemnly entered into by the several states, and ratified by the people thereof respectively; whereby the several states, and the people thereof, respectively have bound themselves to each other, and to the federal government of the United States, and by which the federal government is bound to the several states and to every citizen of. the United States. The author proceeds to expound every part of this definition at large. It is (says he) a compact, by which it is distinguished from a charter or grant, which is either the act of a superior to an inferior, or is founded upon some consideration moving from one of the parties to the other, and operates as an exchange or sale.2 But were the contracting parties, whether considered as states in their political capacity and character, or as individuals, are all equal; nor is there any thing granted from one to another; but each stipulates to part with, and receive the same thing precisely without any distinction or difference between any of the parties. § 311. It is a federal compact.3 Several sovereign and independent states may unite themselves together by a perpetual confederation, without each ceasing to be a perfect state. They will together form a federal republic. The deliberations in common will offer no violence to each member, though they may in certain respects put some constraint on the exercise of it in virtue of voluntary engagements. The extent, modifications, and objects of the federal authority are mere matters of discretion.4 So long, as the separate organization of the members remains; and, from the nature of the compact, must continue to exist both for local and domestic, and for federal purposes, the union is in fact, as well as in theory, an association of states, or a confederacy. § 312. It is, also, to a certain extent, a social compact. In the act of association, in virtue of which a multitude of men form together a state or nation, each individual is supposed to have entered into engagements with all, to procure the common welfare; and all are supposed to have entered into engagements with each other, to facilitate the means of supplying the necessities of each individual, and to protect and defend him.5 And this is what is ordinarily meant by the original contract of society. But a contract of this nature actually existed in a visible form between the citizens of each state in their several constitutions. It might, therefore, be deemed somewhat extraordinary, that in the establishment of a federal republic, it should have been thought necessary to extend its operation to the persons of individuals, as well as to the states composing the confederacy. § 318. Lastly. It is a compact, by which the federal government is bound to the several states, and to every citizen of the United States. Although the federal government can in no possible view be considered as a party to a compact made anterior to its existence, and by which it was in fact created; yet, as the creature of that compact, it must be bound by it to its creators, the several states in the union, and the citizens thereof. Having no existence, but under the constitution, nor any rights, but such as that instrument confers; and those very rights being, in fact duties, it can possess no legitimate power, but such as is absolutely necessary for the performance of a duty prescribed, and enjoined by the constitution.13 Its duties then became the exact measure of its powers; and whenever it exerts a power for any other purpose, than the performance of a duty prescribed by the constitution, it transgresses its proper limits, and violates the public trust. Its duties being moreover imposed for the general benefit and security of the several states in their political character, and of the people, both in their sovereign and individual capacity, if these objects be not obtained, the government does not answer the end of its creation. It is, therefore, bound to the several states respectively, and to every citizen thereof, for the due execution of those duties, and the observance of this obligation is enforced under the solemn sanction of an oath from those, who administer the government. § 320. It is wholly beside our present purpose to engage in a critical commentary upon the different parts of this exposition. It will be sufficient for all the practical objects we have in view, to suggest the difficulties of maintaining its leading positions, to expound the objections, which have been urged against them, and to bring into notice those opinions, which rest on a very different basis of principles. § 321. The obvious deductions, which may be, and indeed have been, drawn from considering the constitution as a compact between the states, are, that it operates as a mere treaty, or convention between them, and has an obligatory force upon each state no longer, than suits its pleasure, or its consent continues; that each state has a right to judge for itself in relation to the nature extent, and obligations. Of the instrument, without being at all bound by the interpretation of the federal government, or by that of any other state; and that each retains the power to withdraw from the confederacy and to dissolve the connexion, when such shall be its choice; and may suspend the operations of the federal government, and nullify its acts within its own territorial limits, whenever, in its own opinion, the exigency of the case may require.15 These conclusions may not always be avowed; but they flow naturally from the doctrines, which we have under consideration.16 They go to the extent of reducing the government to a mere confederacy during pleasure; and of thus presenting the extraordinary spectacle of a nation existing only at the will of each of its constituent parts. § 322. If this be the true interpretation of the instrument, it has wholly failed to express the intentions of its framers, and brings back, or at least may bring back, upon us all the evils of the old confederation, from which we were supposed to have had a safe deliverence. For the power to operate upon individuals, instead of operating merely on states, is of little consequence, though yielded by the constitution, if that power is to depend for, its exercise upon the continual consent of all the members upon every emergency. We have already seen, that the framers of the instrument contemplated no such dependence. Even under the confederation it was deemed a gross heresy to maintain, that a party to a compact has a right to revoke that compact; and the possibility of a question of this nature was deemed to prove the necessity of laying the foundations of our national government deeper, than in the mere sanction of delegated authority.17 “A compact between independent sovereigns, founded on acts of legislative authority, can pretend to no higher validity, than a league or treaty between the parties. It is an established doctrine on the subject of treaties, that all the articles are mutually conditions of each other; that a breach of any one article is a breach of the whole treaty; and that a breach committed by either of the parties absolves the others, and authorizes them, if they please, to pronounce the compact violated and void.”18 Consequences like these, which place the dissolution of the government in the hands of a single state, and enable it at will to defeat, or suspend the operation of the laws of the union, are too serious, not to require us to scrutinize with the utmost care and caution the principles, from which they flow, and by which they are attempted to be justified. § 323. The word ” compact,” like many other important words in our language, is susceptible of different shades of meaning, and may be used in different senses. It is sometimes used merely to express a deliberate and voluntary assent to any act or thing. Thus, it has been said by Dr. South, that ” in the beginnings of speech, there was an implicit compact founded upon common consent, that such words, voices, or gestures, should be signs, whereby they would express their thoughts;”19 where, it is obvious, that nothing more is meant, than a mutual and settled appointment in the use of language. It is also used to express any agreement or contract between parties, by which they are bound, and incur legal obligations.20 Thus we say, that one person has entered into a compact with another, meaning, that the contracting parties have entered into some agreement, which is valid in point of law, and includes mutual rights and obligations between them. And it is also used, in an emphatic sense, to denote those agreements and stipulations, which are entered into between nations, such as public treaties, conventions, confederacies, and other solemn acts of national authority.21 When we speak of a compact in a legal sense, we naturally include in it the notion of distinct contracting parties, having mutual rights, and remedies to enforce the obligations arising therefrom. We suppose, that each party has an equal and independent capacity to enter into the contract, and has an equal right to judge of its terms, to enforce its obligations, and to insist upon redress for any violation of them.22 This, in a general sense, is true under our systems of municipal law, though practically, that law stops short of maintaining it in all the variety of forms, to which modern refinement has pushed the doctrine of implied contracts. § 324. A compact may, then, be said in its most general sense to import an agreement according to Lord Coke’s definition, aggregatio mentium, an aggregation or consent of minds; in its stricter sense to import a contract between parties, which creates obligations, and rights capable of being enforced, and contemplated, as such, by the parties, in their distinct and independent characters. This is equally true of them; whether the contract be between individuals, or between nations. The remedies are, or may be, different; but the right to enforce, as accessory to the obligation, is equally retained in each case. It forms the very substratum of the engagement. § 327. But although in a general sense, and theoretically speaking, the formation of civil societies and states may thus be said to be founded in a social compact or contract, that is, in the solemn, express or implied consent of the individuals composing them; yet the doctrine itself requires many limitations and qualifications, when applied to the actual condition of nations, even of those, which are most free in their organization.28 Every state, however organized, embraces many persons in it, who have never assented to its form of government; and many, who are deemed incapable of such assent, and yet who are held bound by its fundamental institutions and laws. Infants, minors, married women, persons insane, and many others, are deemed subjects of a country, and bound by its laws; although they have never assented thereto, and may by those very laws be disabled from such an act. Even our most solemn instruments of government, framed and adopted as the constitutions of our state governments, are not only not founded upon the assent of all the people within the territorial jurisdiction; but that assent is expressly excluded by the very manner, in which the ratification is required to be made. That ratification is restricted to those, who are qualified voters; and who are, or shall be qualified voters, is decided by the majority in the convention or other body, which submits the constitution to the people. All of the American constitutions have been formed in this manner. The assent of minors, of women, and of unqualified voters has never been asked or allowed; yet these embrace a majority of the whole population in every organized society, and are governed by its existing institutions. Nay more; a majority only of the qualified voters is deemed sufficient to change the fundamental institutions of the state, upon the general principle, that the majority has at all times a right to govern the minority, and to bind the latter to obedience to the will of the former. And if more than a plurality is, in any case, required, to amend or change the actual constitution of the society, it is a matter of political choice with the majority for the time being, and not of right on the part of the minority. § 329. In respect to the American revolution itself, it is notorious, that was brought about against the wishes and resistance of a formidable minority of the people; and that the declaration of independence never had the universal assent of all the inhabitants of the country. So, that this great and glorious change in the organization of our government owes its whole authority to the efforts of a triumphant majority. And the dissent on the part of the minority was deemed in many cases a crime, carrying along with it the penalty of confiscation, forfeiture, and personal, and even capital punishment; and in its mildest form was deemed an unwarrantable outrage upon the public rights, and a total disregard of the duties of patriotism. § 330. The truth is, that the majority of every organized society has always claimed, and exercised the right to govern the whole of that society, in the manner pointed out by the fundamental laws, which from time to time have existed in such society.30 Every revolution, at least when not produced by positive force, has been founded upon the authority of such majority. And the right results from the very necessities of our nature; for universal consent can never be practically required or obtained. The minority are bound, whether they have assented or not; for the plain reason, that opposite wills in the same society, on the same subjects, cannot prevail at the same time; and, as society is instituted for the general safety and happiness, in a conflict of opinion the majority must have a right to accomplish that object by the means, which they deem adequate for the end. The majority may, indeed, decide, how far they will respect the rights or claims of the minority; and how far they will, from policy or principle, insist upon or absolve them from obedience. But this is a matter, on which it decides for itself, according to its own notions of justice or convenience. In a general sense the will of the majority of the people is absolute and sovereign, limited only by its means and power to make its will effectual.31 The declaration of independence (which, it is historically known, was not the act of the whole American people) puts the doctrine on its true grounds; Men are endowed, it declares, with certain unalienable rights, and among these are life, liberty, and the pursuit of happiness. To secure these rights, governments are instituted among men, deriving their just powers from the consent of the governed. Whenever any form of government becomes destructive of these ends, it is the right of the people (plainly intending, the majority of the people) to alter, or to abolish it, and to institute a new government, laying its foundation on such principles, and organizing its powers in such forms, as to them shall seem most likely to effect their safety and happiness. § 333. Take, for instance, the constitution of Massachusetts, which in its preamble contains the declaration already quoted, that government “is a social compact, by which the whole people covenants with each citizen, and each citizen with the whole government;” are we to construe that compact, after the adoption of the constitution, as still a contract, in which each citizen is still a distinct party, entitled to his remedy for any breach of its obligations, and authorized to separate himself from the whole society, and to throw off all allegiance, whenever he supposes, that any of the fundamental principles of that compact are infringed, or misconstrued? Did the people intend, that it should be thus in the power of any individual to dissolve the whole government at his pleasure, or to absolve himself from all obligations and duties thereto, at his choice, or upon his own interpretation of the instrument? If such a power exists, where is the permanence or security of the government? In what manner are the rights and property of the citizens to be maintained or enforced? Where are the duties of allegiance or obedience? May one withdraw his consent to-day, and re-assert it to-morrow? May one claim the protection and assistance of the laws and institutions to-day, and to-morrow repudiate them? May one declare war against all the others for a supposed infringement of the constitution? If he may, then each one has the same right in relation to all others; and anarchy and confusion, and not order and good government and obedience, are the ingredients, which are mainly at work in all free institutions, founded upon the will, and choice, and compact of the people. The existence of the government, and its peace, and its vital interests will, under such circumstances, be at the mercy and even at the caprice of a single individual. It would not only be vain, but unjust to punish him for disturbing society, when it is but by a just exercise of the original rights reserved to him by the compact. The maxim, that in every government the will of the majority shall, and ought to govern the rest, would be thus subverted; and society would, in effect, be reduced to its original elements. The association would be temporary and fugitive, like those voluntary meetings among barbarous and savage communities, where each acts for himself, and submits only, while it is his pleasure. § 334. It can readily be understood, in what manner contracts, entered into by private persons, are to be construed, and enforced under the regular operations of an organized government. Under such circumstances, if a breach is insisted on by either side, the proper redress is administered by the sovereign power, through the medium of its delegated functionaries, and usually by the judicial department, according to the principles established by the laws, which compose the jurisprudence of that country. In such a case no person supposes, that each party is at liberty to insist absolutely and positively upon his own construction, and to redress himself accordingly by force or by fraud. He is compellable to submit the decision to others, not chosen by himself, but appointed by the government, to secure the rights, and redress the wrongs of the whole community. In such cases the doctrine prevails, inter leges silent arma. But the reverse maxim would prevail upon the doctrine, of which we are speaking, inter arma silent leges. It is plain, that such a resort is not contemplated by any of our forms of government, by a suit of one citizen against the whole for a redress of his grievances, or for a specific performance of the obligations of the constitution. He may have, and doubtless in our forms of administering justice has, a complete protection of his rights secured by the constitution, when they are invaded by any other citizen. But that is in a suit by one citizen against another; and not against the body politic, upon the notion of contract. § 335. It is easy, also, to understand, how compacts between independent nations are to be construed, and violations of them redressed. Nations, in their sovereign character, are all upon an equality; and do not acknowledge any superior, by whose decrees they are bound, or to whose opinions they are obedient. Whenever, therefore, any differences arise between them, as to the interpretation of a treaty, or of the breach of its terms, there is no common arbiter, whom they are bound to acknowledge, having authority to decide them. There are but three modes, in which these differences can be adjusted; first, by new negotiations, embracing and settling the matters in dispute; secondly, by referring the same to some common arbitor, pro hac vice, whom they invest with such power; or thirdly, by a resort to arms, which is the ultima ratio regum, or the last appeal between sovereigns. § 336. It seems equally plain, that in our forms of government, the constitution cannot contemplate either of these modes of interpretation or redress. Each citizen is not supposed to enter into the compact, as a sovereign with all the others as sovereign, retaining an independent and coequal authority to Judge, and decide for himself. He has no authority reserved to institute new negotiations; or to suspend the operations of the constitution, or to compel the reference to a common arbiter; or to declare war against the community, to which he belongs. § 339. A constitution is in fact a fundamental law or basis of government, and falls strictly within the definition of law, as given by Mr. Justice Blackstone. It is a rule of action, prescribed by the supreme power in a state, regulating the rights and duties of the whole community. It is a rule, as contradistinguished from a temporary or sudden order; permanent, uniform, and universal. It is also called a rule, to distinguish it from a compact, or agreement; for a compact (he adds) is a promise. proceeding from us; law is a command directed to us. The language of a compact is, I will, or will not do this; that of a law is, Thou shalt, or shalt not do it.40 “In compacts we ourselves determine and promise, what shall be done, before we are obliged to do it. In laws, we are obliged to act without ourselves determining, or promising any thing at all.”41 It is a rule prescribed; that is, it is laid down, promulgated, and established. It is prescribed by the supreme power in a state, that is, among us, by the people, or a majority of them in their original sovereign capacity. Like the ordinary municipal laws, it may be founded upon our consent, or that of our representatives; but it derives its ultimate obligatory force, as a law, and not as a compact. § 343. Now it is apparent from the whole reasoning of all the parties, that they were not considering, how far the original institution of government was founded in compact, that is, how far society itself was founded upon a social compact. It was not a question brought into discussion, whether each of the people contracted with the whole people, or each department of the government with all others, or each organized community within the realm with all others, that there should be a frame of government, which should form a treaty between them, of which each was to judge for himself, and from which each was at liberty to withdraw at his pleasure, whenever he or they supposed it broken. All of the speakers on all sides were agreed, that the constitution was not gone; that it remained in full force, and obligatory upon the whole people, including the laws made under it, notwithstanding the violations by the king. § 346. This was precisely the view entertained by the great revolutionary whigs in 1688. They did not declare the government dissolved, because the king had violated the fundamental laws and obligations of the constitution. But they declared, that those acts amounted to a renunciation and abdication of the government by him; and that the throne was vacant, and must be supplied by a new choice. The original contract with him was gone. He had repudiated it; and lost all rights under it. But these violations did not dissolve the social organization, or vary the existing constitution and laws, or justify any of the subjects in renouncing their own allegiance to the government; but only to King James.”57 In short, the government was no more dissolved, than our own would be, if the president of the United States should violate his constitutional duties, and, upon an impeachment and trial, should be removed from office. § 347. There is no analogy whatsoever between that case, and the government of the United States, or the social compact, or original constitution of government adopted by a people. If there were any analogy, it would follow, that every violation of the constitution of the United States by any department of the government would amount to a renunciation by the incumbent or incumbents of all rights and powers conferred on that department by the constitution, ipso facto, leaving a vacancy to be filled up by a new choice; a doctrine, that has never yet been broached, and indeed is utterly unmaintainable, unless that violation is ascertained in some mode known to the constitution, and a removal takes place accordingly. For otherwise such a violation by any functionary of the government would amount to a renunciation of the constitution by all the people of the United States, and thus produce a dissolution of the government eo instanti; a doctrine so extravagant, and so subversive of the rights and liberties of the people, and so utterly at war with all principles of common sense and common Justice, that it could never find its way into public favour by any ingenuity of reasoning, or any vagaries of theory. § 348. In short, it never entered into the heads of the great men, who accomplished the glorious revolution of 1688, that a constitution of government, however originating, whether in positive compact, or in silent assent and acquiescence, after it was adopted by the people, remained a mere contract or treaty, open to question by all, and to be annihilated at the will of any of them for any supposed or real violations of its provisions. They supposed, that from the moment it became a constitution, it ceased to be a compact, and became a fundamental law of absolute paramount obligation, until changed by the whole people in the manner prescribed by its own rules, or by the implied resulting power, belonging to the people in all cases of necessity to provide for their own safety. Their reasoning was addressed, not to the constitution, but to the functionaries, who were called to administer it. They deemed, that the constitution was immortal, and could not be forfeited; for it was prescribed by and for the benefit of the people. But they deemed, and wisely deemed, that magistracy is a trust, a solemn public trust; and he, who violates his duties, forfeits his own right to office, but cannot forfeit the rights of the people. § 349. The subject has been, thus far, considered chiefly in reference to the point, how far government is to be considered as a compact, in the sense of a contract, as contradistinguished from an act of solemn acknowledgment or assent; and how far our state constitutions are to be deemed such contracts, rather than fundamental laws, prescribed by the sovereign power. The conclusion, to which we have arrived, is, that a state constitution is no farther to be deemed a compact, than that it is a matter of consent by the people, binding them to obedience to its requisitions; and that its proper character is that of a fundamental law, prescribed by the will of the majority of the people of the stale, (who are entitled to prescribe it,) for the government and regulation of the whole people.58 It binds them, as a supreme compact, ordained by the sovereign power, and not merely as a voluntary contract, entered into by parties capable of contracting and binding, themselves by such terms, as; they choose to select.59 If this be a correct view of the subject, it will enable us to enter upon the other parts of the proposed discussion with principles to guide us in the illustration of the controversy. § 350. In what light, then, is the constitution of the United States to be regarded? Is it a mere compact, treaty, or confederation of the states composing the Union, or of the people thereof, whereby each of the several states, and the people thereof, have respectively bound themselves to each other? Or is it a form of government, which, having been ratified by a majority of the people in all the states, is obligatory upon them, as the prescribed rule of conduct of the sovereign power, to the extent of its provisions? § 351. Let us consider, in the first place, whether it is to be deemed a compact? By this, we do not mean an act of solemn assent by the people to it, as a form of government, (of which there is no room for doubt;) but a contract imposing mutual obligations, and contemplating the permanent subsistence of parties having an independent right to construe, control, and judge of its obligations. If in this latter sense it is to be deemed a compact, it must be, either because it contains on its face stipulations to that effect, or because it is necessarily implied from the nature and objects of a frame of government. § 353. If it had been the design of the framers of the constitution or of the people, who ratified it, to consider it a mere confederation, resting on treaty stipulations, it is difficult to conceive, that the appropriate terms should not have been found in it. The United States were no strangers to compacts of this nature.64 They had subsisted to a limited extent before the revolution. The articles of confederation, though in some few respects national, were mainly of a pure federative character, and were treated as stipulations between states for many purposes independent and sovereign.65 And yet (as has been already seen) it was deemed a political heresy to maintain, that under it any state had a right to withdraw from it at pleasure, and repeal its operation; and that a party to the compact had a right to revoke that compact.66 The only places, where the terms, confederation or compact, are found in the constitution, apply to subjects of an entirely different nature, and manifestly in contradistinction to constitution. Thus, in the tenth section of the first article it is declared, that “no state shall enter into any treaty, alliance, or confederation;” “no state shall, without the consent of congress, etc. enter into any agreement or compact with another state, or with a foreign power.” Again, in the sixth article it is declared, that “all debts contracted, and engagements entered into, before the adoption of this constitution, shall be as valid against the United States under this constitution, as under the confederation.” Again, in the tenth amendment it is declared, that “the powers not delegated by the constitution, nor prohibited by it to the states, are reserved to the states respectively, or to the people.” A contract can in no just sense be called a delegation of powers. § 354. But that, which would seem conclusive on the subject, (as has been already stated,) is, the very language of the constitution itself, declaring it to be a supreme fundamental law, and to be of judicial obligation, and recognition in the administration of justice. “This constitution,” says the sixth article, “and the laws of the United States, which shall be made in pursuance thereof, and all treaties made, or which shall be made under the authority of the United States, shall be the supreme law of the land; and the judges in every state shall be bound thereby, any thing in the constitution or law of any state to the contrary notwithstanding.” If it is the supreme law, how can the people of any state, either by any form of its own constitution, or laws, or other proceedings, repeal, or abrogate, or suspend it? § 359. Nor should it be omitted, that in the most elaborate expositions of the constitution by its friends, its character, as a permanent form of government, as a fundamental law, as a supreme rule, which no state was at liberty to disregard, suspend, or annul, was constantly admitted, and insisted on, as one of the strongest reasons, why it should be adopted in lieu of the confederation.78 It is matter of surprise, therefore, that a learned commentator should have admitted the right of any state, or of the people of any state, without the consent of the rest, to secede from the Union at its own pleasure.79 The people of the United States have a right to abolish, or alter the constitution of the United States; but that the people of a single state have such a right, is a proposition requiring some reasoning beyond the suggestion, that it is implied in the principles, on which our political systems are founded.80 It seems, indeed, to have its origin in the notion of all governments being founded in compact, and therefore liable to be dissolved by the parties, or either of them; a notion, which it has been our purpose to question, at least in the sense, to which the objection applies. § 360. 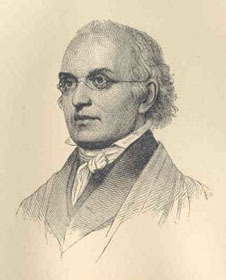 To us the doctrine of Mr. Dane appears far better founded, that “the constitution of the United States is not a compact or contract agreed to by two or more parties, to be construed by each for itself, and here to stop for the want of a common arbiter to revise the construction of each party or state. But that it is, as the people have named and called it, truly a Constitution; and they properly said, ‘ We, the people of the United States, do ordain and establish this constitution,’ and not, we, the people of each state.”81 And this exposition has been sustained by opinions of some of our most eminent statesmen and judges.82 It was truly remarked by the Federalist,83 that the constitution was the result neither from the decision of a majority of the people of the union, nor from that of a majority of the states. It resulted from the unanimous assent of the several states that are parties to it, differing no otherwise from their ordinary assent, than its being expressed, not by the legislative authority but by that of the people themselves. § 367. The other branch of the proposition, we have been considering, is, that it is not only a compact between the several states, and the people thereof, but also a compact between the states and the federal government; and e converso between the federal government, and the several states, and every citizen of the United States.99 This seems to be a doctrine far more involved, and extraordinary, and incomprehensible, than any part of the preceding. The difficulties have not escaped the observation of those, by whom it has been advanced. “Although (says the learned commentator) the federal government can, in no possible view, be considered as a party to a compact made anterior to its existence; yet, as the creature of that compact, it must be bound by it to its creators, the several states in the Union, and the citizens thereof.”100 If by this, no more were meant than to state, that the federal government cannot lawfully exercise any powers, except those conferred on it by the constitution, its truth could not admit of dispute. But it is plain, that something more was in the author’s mind. At the same time, that he admits, that the federal government could not be a party to the compact of the constitution “in any possible view,” he still seems to insist upon it, as a compact, by which the federal government is bound to the several states, and to every citizen; that is, that it has entered into a contract with them for the due execution of its duties. § 368. And a doctrine of a like nature, viz. that the federal government is a party to the compact, seems to have been gravely entertained on other solemn occasions.101 The difficulty of maintaining it, however, seems absolutely insuperable. The federal government is the result of the constitution, or (if the phrase is deemed by any person more appropriate) the creature of the compact. How, then, can it be a party to that compact, to which it owes its own existence?102 How can it be said, that it has entered into a contract, when at the time it had no capacity to conduct; and was not even in esse [existence]? If any provision was made for the general government’s becoming a party, and entering into a compact, after it was brought into existence, where is that provision to be found? It is not to be found in the constitution itself. Are we at liberty to imply such a provision, attaching to no power given in the constitution? This would be to push the doctrine of implication to an extent truly alarming; to draw inferences, not from what is, but from what is not, stated in the instrument. But, if any such implication could exist, when did the general government signify its assent to become such a party? When did the people authorize it to do so?103 Could the government do so, without the express authority of the people? These are questions, which are more easily asked, than answered. § 371. But if it were admitted, that the constitution is a compact, the conclusion, that there is no common arbiter, would neither be a necessary, nor natural conclusion from that fact standing alone. To decide upon the point, it would still behove us to examine the very terms of the constitution, and the delegation of powers under it. It would be perfectly competent even for confederated states to agree upon, and delegate authority to construe the compact to a common arbiter. The people of the United States had an unquestionable right to confide this power to the government of the United States, or to any department thereof, if they chose so to do. The question is, whether they have done it. If they have, it becomes obligatory and binding upon all the states. § 372. It is not, then, by artificial reasoning founded upon theory, but upon a careful survey of the language of the constitution itself, that we are to interpret its powers, and its obligations. We are to treat it, as it purports on its face to be, as a CONSTITUTION of government; and we are to reject all other appellations, and definitions of it, such, as that it is a compact, especially as they may mislead us into false constructions and glosses, and can have no tendency to instruct us in its real objects. 1. 1 Tucker’s Black. Comm. App. note D, p. 140 et seq. 2. Tucker’s Black. Comm. App. note D. p. 141. 3. Mr. Jefferson asserts, that the constitution of the United States is a compact between the states. “They entered into a compact,” says he, (in a paper designed to be adopted by the legislature of Virginia, as a solemn protest,) “which is called the Constitution of the United States of America, by which they agreed to unite in a single government, as to their relations with each, and with foreign nations, and as to certain other articles particularly specified.”a It would, I imagine, be very difficult to point out when, and in what manner, any such compact was made. The constitution was neither made, nor ratified by the states, as sovereignties, or political communities. It was framed by a convention, proposed to the people of the states for their adoption by congress; and was adopted by state conventions, — the immediate representatives of the people. a. 4 Jefferson’s Corresp. 415. 4. 1 Tucker’s Black. Comm. Appx. note D. p. 141. 7. 1 Tucker’s Black. Comm. App. note D. p. 145. 9. 1 Tucker’s Black. Comm. App. note D. p. 153. — There is an inaccuracy here; Connecticut did not form a constitution until 1818, and existed until that period under her colonial charter. Rhode-Island still is without any constitution, and exercises the powers of government under her colonial charter. 12. Tucker’s Black. Comm. note D. p. 170. 14. Many traces of these opinions will be found in the public debates in the state legislatures and in congress at different periods. In the resolutions of Mr. Taylor in the Virginia legislature in 1798, it was resolved, “that this assembly doth explicitly and peremptorily declare, that it views the powers of the federal government as resulting from the compact, to which the states are parties.” See Dane’s Appendix, p 17. The original resolution had the word “alone” after “states,” which was struck out upon the motion of the original mover, it having been asserted in the debate, that the people were parties also, and by some of the speakers, that the people were exclusively parties. The Kentucky Resolutions of 1797, which were drafted by Mr. Jefferson, declare, “that to this compact [the federal constitution] each state acceded as a state, and is an integral party.” North American Review, Oct. 1830, p. 501, 545. In the resolutions of the senate of South Carolina, in Nov. 1817, it is declared, “that the constitution of the United States is a compact between the people of the different states with each other, as separate and independent sovereignties.” In Nov. 1799 the Kentucky legislature passed a resolution, declaring, that the federal states had a right to judge of any infraction of the constitution, and, that a nullification by those sovereignties of all unauthorized acts done under color of that instrument is the rightful remedy. North American Review, Id. 503. Mr. Madison, in the Virginia Report of 1800, re-asserts the right of the states, as parties, to decide upon the unconstitutionality of any measure. Report. p. 6, 7, 8, 9. The Virginia legislature, in 1829, passed a resolution, declaring, that “the constitution of the United States being a federative compact between sovereign states, in construing which no common arbiter is known, each state has the right to construe the compact for itself.b Mr. Vice President Calhoun’s letter to Gov. Hamilton of Aug. 28, 1832, contains a very elaborate exposition of this among other doctrines. Mr. Dane, in his Appendix, (§ 3, p. 11,) says, that for forty years one great party has received the constitution, as a federative compact among the states, and the other great party, not as such a compact, but in the main, national and popular. The grave debate in the Senate of the United States, on Mr. Foot’s resolution, in the winter of 1830, deserves to be read for its able exposition of the doctrines maintained on each slide. Mr. Dune makes frequent references to it in his Appendix — 4 Elliot’s Debates, 315 to 330.
b. 3 American Annal Register; Local History, 131. 15. Virginia, in the resolutions of her legislature on the tariff, in Feb. 1829, declared, “that there is no common arbiter to construe the constitution; being a federative compact between sovereign states, each state has a right to construe the compact for itself.” 9 Dane’s Abridg. ch. 187, art. 20, § 14, p. 589. See also North American Review, Oct. 1830, p. 488 to 528. The resolutions of Kentucky of 1798 contain a like declaration, that “to this compact [the constitution] each state acceded as a state, and is an integral party; that the government created by this compact was not made the exclusive, or final judge of the powers delegated to itself, etc. ; but that, as in all other cases of compact among parties having no common judge, each party has an equal right to judge for itself, as well of infractions, as of the mode and measure of redress.” North American Review, Oct. 1830, p. 501. The Kentucky resolutions of 1799 go further, and assert, “that the several states, who formed that instrument, [the constitution] being sovereign and independent, have the unquestionable right to judge of its infraction; and that a nullification by those sovereignties of all unauthorized acts done under colour of that instrument is the rightful remedy.” North American Review, Id. 503; 4 Elliot’s Debates, 315, 322. In Mr. Madison’s Report in the Virginia legislature, in January, 1800, it is also affirmed, that the states are parties to the constitution; but by states he here means (as the context explains) the people of the states. That report insists, that the states are in the last resort the ultimate judges of the infractions of the constitution. p. 6, 7, 8, 9. 16. I do not mean to assert, that all those, who held these doctrines, have adopted the conclusions drawn from them. There are eminent exceptions; and among them the learned commentator on Blackstone’s Commentaries seems properly numbered. See 1 Tucker’s Black. App. 170, 171, § 8. See the Debates in the senate on Mr. Foot’s Resolution in 1830, and Mr. Dane’s Appendix, and his Abridgment and Digest, 9th Vol. ch. 187, art. 20, § 13 to 22, p. 588 et seq. ; North American Review for Oct. 1830, on the Debates on the Public Lands, p. 481 to 486, 488 to 528; 4 Elliot’s Debates, 315 to 330; Madison’s Virginia Report, Jan. 1800, p. 6, 7, 8, 9; 4 Jefferson’s Correspondence, 415; Vice President Calhoun’s Letter to Gov. Hamilton, Aug. 28, 1832. 17. The Federalist, No. 22; Id. No. 43; see also Mr. Patterson’s Opinion in the Convention, 4 Elliot’s Debates, 74, 75; and Yates’s Minutes. 18. The Federalist, No. 43. Mr. Madison, in the Virginia Report of January 1800, asserts, (p. 6, 7,) that “the states being parties to the constitutional compact, and in their sovereign capacity, it follows ofneces sity, that there can be no tribunal above their authority to decide in the last resort, whether the compact made by them be violated; and consequently, that, as the parties to it, they must themselves decide in the last resort such questions, as may be of sufficient magnitude to require their interposition.” Id. p. 8, 9. 19. Cited in Johnson’s Dictionary, verb Compact. See Heinecc. Elem. Juris. Natur. L. 2, ch. 6, § 109 to 112. 20. Pothier distinguishes between a contract and an agreement. An agreement, he says, is the consent of two or more persons to form some engagement, or to rescind, or modify an engagement already made. Duorum vel plurium in idem placitum consensus. Pand. Lib. 1, § 1. de Pactis. An agreement, by which two parties reciprocally promise and engage, or one of them singly promises and engages to the other, to give some particular thing, or to do or abstain from a particular act, is a contract; by which he means such an agreement, as gives a party the right legally to demand its performance. Pothier, Oblig. Part. 1, ch. 1, § 1, art. 1, § 1. See 1 Black. Comm. 44, 45. 21. Vattel, B. 2, ch. 12, § 152; 1 Black. Comm. 43. 22. 2 Black. Comm. 442. 23. Woodeson’s Elements of Jurisprudence, 21, 22; 1 Wilson’s Law Lect. 304, 305; Vattel, B. 1, ch. 1, § 1, 2; 2 Burlamaqui, Part 1, ch. 2, 3, 4; 1 Black. Comm. 47, 48, Heinecc. L. 2, ch. 1, § 12 to 18; (2 Turnbull, Heinecc. System of Universal Law, B. 2, ch. 1, § 9 to 12;) Id. ch. 6, § 109 to 115. 24. 2 Burlamaqui, Part 1, ch. 4, § 9; Heinecc. Elem. Juris. Natur. L. 2, ch. 6, § 107. Mr. Locke is one of the most eminent authors, who have treated on this subject. He founds all civil government upon consent. “When,” says he, “any number of men have so consented to make a community of government, they are thereby presently incorporated, and make one body politic, wherein the majority have a right to act, and conclude the rest.”c And he considers this consent to be bound by the will of the majority, as the indispensable result of becoming a community; “else,” says he, “this original compact, whereby he, with others, incorporates into one society, would signify nothing, and be no compact at all.”d Doctor Paley has urged some very forcible objections against this doctrine, both as matter of theory and of fact, with which, however, it is unnecessary here to intermeddle. The discussion of them would more properly belong to lectures upon natural and political law.e Mr. Burke has, in one of his most splendid performances, made some profound reflections on this subject, the conclusion of which seems to be, that of society is to be deemed a contract, it is one of eternal obligation, and not liable to be dissolved at the will of those, who have entered into it. The passage is as follows: “Society is indeed a contract. Subordinate contracts for objects of more occasional interest may be deposited at pleasure. But the state ought not to be considered as nothing better than a partnership agreement in a trade of pepper and coffee, calico or tobacco, or some other such low concern, to be taken up for a little temporary interest, and to be dissolved by the fancy of the parties. It is to be looked on with other reverence; because it is not a partnership in things, subservient only to the gross animal existence, of a temporary and perishable nature. It is a partnership in all science; a partnership in all art; a partnership in every virtue, and in all perfection. As the ends of such a partnership cannot be obtained in many generations, it becomes a partnership not only between those, who are living, but between those, who are living, those, who are dead, and those, who are to be born. Each contract of each particular state is but a clause in the great primeval contract of eternal society, linking the lower with the higher natures, connecting the visible and invisible world, according, to a fixed compact, sanctioned by the inviolable oath, which holds all physical and all moral natures, each in their appointed place. This law is not subject to the will of those, who by an obligation above them, and infinitely superior are bound to submit their will to that law. The municipal corporations of that universal kingdom are not morally at liberty at their pleasure, and on their speculations of a contingent improvement, wholly to separate and tear asunder the bands of their subordinate community, and to dissolve it into an unsocial, uncivil, unconnected chaos of elementary principles. It is the first and supreme necessity only, a necessity, that is not chosen, but chooses, a necessity paramount to deliberation, that admits no discussion, and demands no evidence, which alone can justify a resort to anarchy. This necessity is no exception to the rule; because this necessity itself is a part too of that moral and physical disposition of things, to which man must he obedient by consent or force. But, if that, which is only submission to necessity, should be made the object of choice, the law is broken, nature is disobeyed, and the rebellious are outlawed, east forth, and exiled from this world of reason, and order, and peace, and virtue, and fruitful penitence, into the antagonist world of madness, discord, vice, confusion, and unavailing sorrow.” Reflections on the Revolution in France. c. Locke on Government, B. 2, ch 8, § 95.
d. Coke on Government, b. 2, § 96, 97, 99; Id. § 119, 120.
e. Paley on Moral and Political Philosophy, B. 6, ch. 3. 25. 1 Black. Comm. 47; see also 1 Hume’s Essays, Essay 12. — Mr. Hume considers, that the notion of government, being universally founded in original contract, is visionary, unless in the sense of its being founded upon the consent of those, who first associate together, and subject themselves to authority. He has discussed the subject at large in an elaborate Essay. Essay 12, p. 491. 26. Chisholm v. State of Georgia, 3 Dall. R. 419; 2 Cond. Rep. 635, 668; see also 1 Wilson’s Law Lect. 305. 27. In the ordinance of congress of 1787, for the government of the territory of the United States northwest of river Ohio, in which the settlement of the territory, and the establishment of several states therein, was contemplated, it was declared, that certain articles therein enumerated “shall be considered as articles of compact between the original states and the people and states in the said territory, and for ever remain unalterable, unless by common consent.” Here is an express enumeration of parties, some of whom were not then in existence, and the articles of compact attached as such only, when they were brought into life. And then to avoid all doubt, as to their obligatory force, they were to be unalterable, except by common consent. One party could not change or absolve itself from the obligation to obey them. 28. See Burke’s Appeal from the New to the Old Whigs. 29. See 1 Hume’s Essays, Essay 12. 30. 1 Tucker’s Black. Comm. App. 168; Id. 172, 173; Burke’s Appeal from the New to the Old Whigs. 31. Mr. Dane, in his Appendix to the ninth volume of his Abridgment, has examined this subject very much at large. See, especially, pages 37 to 43. Mr. Locke, the most strenuous asserter of liberty and of the original compact of society, contends resolutely for this power of the majority to bind the minority, as a necessary condition in the original formation of society. Locke on Government, B. 2, ch. 8, from § 95 to § 100.
f. Paley’s Moral Philosophy, B. 6, ch. 3. But see Burke’s Reflections on the French Revolution, ante, p. 293, 294.
g. 1 Hune’s Essays, Essay 12. 33. 9 Dane’s Abridg. ch. 187, art. 20, § 13, p. 589. 34. Mr. Woodeson (Elements of Jurisp. p. 22,) says, “However the historical fact may be of a social compact, government ought to be, and is generally considered as founded on consent, tacit or express, or a real, or quasi compact. This theory is a material basis of political rights; and as a theoretical point, is not difficult to be maintained, etc. etc. Not that such consent is subsequently revokable at the will, even of all the subjects of the state, for that would be making a part of the community equal in power to the whole originally, and superior to the rulers thereof after their establishment.” However questionable this latter position may be, (and it is open to many objections,h) it is certain, that a right of the minority to withdraw from the government, and to overthrow its powers, has no foundation in any just reasoning. h. See 1 Wilson’s 417, 418, 419, 420. 35. Dane’s App. § 14, p. 25, 26. 36. Locke on Government, B. 2, ch. 8, § 95 to 100; ch. 19, § 212, 220, 226, 240, 243; 1 Wilson’s Law Lectures, 310, 384, 417, 418. — Mr. Dane (App. p. 32) says, that if there be any compact, it is a compact to make a constitution; and that done, the agreement is at an end. It then becomes an executed contract, and, according to the intent of the parties, a fundamental law. 37. Dane’s App. § 16, 17, p. 29, 30; Id. § 14, p. 25, 26. 39. Mr. Justice Chase, in Ware v. Hylton, 3 Dall. R. 199 Condensed R. 99, declares the constitution of a state to be the fundamental law of the state. — Mr. Dane has with, great force said, that a constitution is a thing constituted, an instrument ordained and established. If a committee frame a constitution for a state, and the people thereof meet in their several counties, and ratify it, it is a constitution ordained and established, and not a compact, or contract among the counties. So, if they meet in several towns and ratify it, it is not a compact among them. A compact among states is a confederation, and is always so named, (as was the old confederation,) and never a constitution 9 Dane’s Abridgment, ch. 187, art. 20, § 15, p. 590. 40. Black. Comm. 38, 44, 45. See also Burlamaqui, Part 1, ch 8, p. 48, § 3, 4, 5. 41. 2 1 Black. Comm. 45. 42. The Federalist, No. 33. See also, No. 15. 43. The Federalist, No. 33. 44. Mr. Adams, in his Oration on the 4th of July, 1831, uses the following language: “In the constitution of this commonwealth [Massachusetts] it is declared, that the body politic is formed by a voluntary association of individuals. That it is a social compact, etc. The body politic of the United States was formed by a voluntary association of the people of the United Colonies. The Declaration of Independence was a social compact, by which the whole people covenanted with each citizen of the united colonies, and each citizen with the whole people, that the united colonies were, and of right ought to be, free and independent states. To this compact, union was as vital, as freedom and independence. From the hour of that independence, no one of the states, whose people were parties to it, could, without a violation of that primitive compact, secede, or separate from the rest. Each was pledged to all; and all were pledged to each other by a concert of soul, without limitation of time, in the presence of Almighty God, and proclaimed to all mankind. The colonies were not declared to be sovereign states. The term ‘sovereign’ is not even to be found in the Declaration.” Again — “Our Declaration of Independence, our confederation, our constitution of the United States, and all our state constitutions, without a single exception, have been voluntary compacts, deriving all their authority from the free consent of the parties to them.” And he proceeds to state, that the modern doctrine of nullification of the laws of the Union by a single state, is a solecism of language, and imports selfcontradiction; and goes to the destruction of the government, and the Union. It is plain, from the whole reasoning of Mr. Adams, that when be speaks of the constitution as a compact, he means no more, than that it is a voluntary and solemn consent of the people to adopt it, as a form of government; and not a treaty obligation to be abrogated at will by a single state. 45. 1 Black. Comm. 211, 222. 46. Parliamentary Debates, 1688, edit. 1742, p. 203 et seq. 47. Id. p. 217, 218. 48. Parliamentary Debates, 1688, edit. 1742, p. 221, 223, 224. 49. Id. p. 225, 226. 52. Parliamentary Debates 1688, edit. 1742, p. 213. 53. Id. p. 213, 214. 55. 1 Black. Comm. 212, 213. 56. 1 Black. Comm. 211. 57. 1 Black. Comm. 212, 213. — The same doctrines were avowed by the great whig leaders of the house of commons on the trial of Doctor Sacheverill, in 1709. Mr. Burke, in his Appeal from the New to the Old Whigs, has given a summary of the reasoning, and supported it by copious extracts from the trial. 58. It is in this sense, that Mr. Chief Justice Jay is to be understood in his opinion in Chisholm v. Georgia, (2 Dall. R. 419; S. C. Peters’s Cond. R. 635, 668,) when he says, “every state constitution is a compact, made by and between the citizens of the state to govern themselves in a certain manner; and the constitution of the United States is likewise a compact, made by the people of the United States to govern themselves, as to general objects, in a certain manner.” The context abundantly shows, that he considered it a fundamental law of government; and that its powers did not rest on mere treaty; but were supreme, and were to be construed by the judicial department; and that the states were bound to obey. 61. The Federalist, No. 9, 15, 17, 18, 33; Webster’s Speeches, 1830; Dane’s App. § 2, p. 11, § 14, p. 25, etc. ; Id. § 10, p. 21; Mr. Martin’s Letter, 3 Elliot, 53; 1 Tucker’s Black. Comm. App. 146. 62. 1 Wilson’s Lectures, 417. 63. See The Federalist, No. 9; Id. No. 15, 16; Id. No. 33; Id. No. 39. 64. New-England Confederacy of 1643; 3 Kent. Comm. 190, 191, 192; Rawle on Const. Introduct. p. 24, 25. — In the ordinance of 1787, for the government of the territory northwest of the Ohio, certain articles were expressly declared to be “articles of compact between the original states, [i. e. the United States,] and the people and states [states in futuro, for none were then in being] in the said territory.” But to guard against any possible difficulty, it was declared, that these articles should “forever remain unalterable, unless by common consent,” So, that though a compact, neither party was at liberty to withdraw from it at its pleasure, or to absolve itself from its obligations. Why was not the constitution of the United States declared to be articles of compact, if that was the intention of the framers? 65. The Federalist, No. 15, 22, 39, 40, 43; Ogden v. Gibbons, 9 Wheaton’s R. 1, 187. 66. The Federalist, No. 22; Id. No. 43. 67. The very first resolution adopted by the convention (six states to two states) was in the following words: “Resolved, that it is the opinion of this committee, that a national government ought to be established of a supreme legislative, judiciary, and executive;”i plainly showing, that it was a national government, not a compact, which they were about to establish; a supreme legislative, judiciary, and executive, and not a mere treaty for the exercise of dependent powers during the good pleasure of all the contracting parties. i. Journal of Congress, p. 83, 134, 139, 207; 4 Elliot’s Debates, 49 See also 2 Pitkin’s History, 232. 68. Journal of Convention, p. 367, 368. 69. The language of the Supreme Court in Gibbons v. Ogden, (9 Wheat. R. 1, 187,) is very expressive on this subject. 70. The Federalist, No. 38, p. 247; Id. No. 39, p. 256. 71. See the forms in the Journals of the Convention, etc. (1819), p. 390 to 465. 72. Journals of the Convention, etc. (1819), p. 401, 402, 412. 73. Id. p. 416. — Of the right of a majority of the whole people to change their constitution, at will, there is no doubt. See 1 Wilson’s Lectures, 418; 1 Tucker’s Black. Comm. 165. 74. Articles of Confederation, 1781, art. 13. 75. I do not say, that the manner of stating the objection was just, but the fact abundantly appears in the printed debates. For instance, in the Virginia debates, (2 Elliot’s Deb. 47,) Mr. Henry said, “That this is a consolidated government is demonstrably clear.” “The language [is] ‘We, the people,’ instead of, ‘We, the states.’ States are the characteristics and soul of a confederation. If the states be not the agents of this compact, it must be one great consolidated national government of the people of all the states.” The like suggestion will be found in various places in Mr. Elliot’s Debaters in other states. See 1 Elliot’s Debates, 91, 92, 110. See also, 3 Amer. Museum, 422; 2 Amer. Museum, 540, 546; Mr. Martin’s Letter, 4 Elliot’s Debates, p. 53. 76. 3 Elliot’s Debates, 145, 257, 201; The Federalist, No. 32, 33, 39, 44, 45; 3 Amer. Museum, 422, 424. 77. Mr. Iredell, 3 Elliot’s Debates, 24, 25; Id. 200, Mr. McClure, Id. 25; Mr. Spencer, Id. 26, 27; Id. 139. See also 3 Elliot’s Debates, 156; See also Chisholm v. Georgia, 3 Dall, 419; 2 Condensed Rep. 635, 667, 668. See also in Penn. Debates, Mr. Wilson’s denial, that the constitution was a compact; 3 Elliot’s Debates, 286, 287. See also McCulloch v. Maryland, 4 Wheaton, 316, 404. 78. The Federalist, No. 15 to 20, 38, 39, 44; North Amer. Review, Oct. 1827, p. 265, 266. 79. Rawle on the Constitution, ch. 32, p. 295, 296, 297, 302, 305. 80. Dane’s App. § 59, 60, p. 69, 71. 81. Mr. (afterwards Mr. Justice) Wilson, who was a member of the Federal Convention, uses, in the Pennsylvania Debates, the following language: “We were told, etc. that the convention no doubt thought they were forming a compact or contract of the greatest importance. It was matter of surprise to see the great lending principles of this system still so very much misunderstood. I cannot answer for what every member thought; but I believe it cannot be said, they thought they were making a contract, because I cannot discover the least trace of a compact in that system. There can be no compact, unless there are more parties than one. It is a new doctrine, that one can make a compact with himself. ‘The convention were forming contracts! with whom? I know no bargains, that were there made, I am unable to conceive, who the patties could be. The state governments make a bargain with each other. That is the doctrine, that is endeavoured to be established by gentlemen in the opposition; their state sovereignties wish to be represented. But far other were the ideas of the convention. This is not a government founded upon compact. It is founded upon the power of the people. They express in their name and their authority, we, the people, do ordain and establish,” etc. 3 Elliot’s Debates, 286, 287. He adds (Id. 288) “This system is not a compact or contract. The system tells you, what it is; it is an ordinance and establishment of the people.” 9 Dane’s Abridg. ch. 187, art. 20, § 15, p. 589, 590; Dane’s App. § 10, p. 21, § 50, p. 69. 82. See Ware v. Hylton, 3 Dall. 199; I Cond. Rep. 99,1 12; Chrisholm v. Georgia, 3 Dall. 419; 2 Cond. R. 668, 671; Elliot’s Debates, 72; 2 Elliot’s Debates, 47; Webster’s Speeches, p. 410; The Federalist, No. 22, 33, 39; 2 Amer. Museum, 536, 516; Virginia Debates in 1798, on the Alien Laws, p. 111, 136, 138, 140; North Amer. Rev. Oct. 1830, p. 437, 444. 84. 1 Tuck. Black. Comm. 169; Haynes’s Speech in the Senate, in 1830; 4 Elliot’s Debates, 315, 316. 85. Resolutions of 1800, p. 5, 6. 86. North American Review Oct. 1830, p. 537, 544. 88. The Federalist, No 39. — In confirmation of this view, we may quote the reasoning of the Supreme Court in the case of McCulloch v. Maryland, (4 Wheaton’s R 316,) in answer to the very argument. “The powers of the general government, it has been said, are delegated by the states, who alone are truly sovereign; and must be exercised in subordination to the states, who alone possess supreme dominion. “It would be difficult to sustain this proposition. The convention, which framed the constitution, was indeed elected by the state legislatures. But the instrument, when it came from their hands, was a mere proposal, without obligation, or pretensions to it. It was reported to the then existing congress of the United States, with a request, that it might be submitted to a convention of delegates, chosen in each state by the people thereof, under the recommendation of its legislature, for their assent and ratification.’ This mode of proceeding was adopted; and by the convention, by congress, and by the state legislatures, the instrument was submitted to the people. They acted upon it in the only manner, in which they can act safely, effectively, and wisely, on such a subject, by assembling in convention. It is true, they assembled in their several states — and where else should they have assembled? No political dreamer was ever wild enough to think of breaking down the lines, which separate the states, and of compounding the American people into one common mass. Of consequence, when they act, they act in their states. But the measures they adopt do not, on that account, cease to be the measures of the people themselves, or become the measures of the state governments. “From these conventions the constitution derives its whole authority. The government proceeds directly from the people; is ‘ ordained and established ‘ in the name of the people; and is declared to be ordained, ‘ in order to form a more perfect union, establish justice, ensure domestic tranquility, and secure the blessings of liberty to themselves and to their posterity.’ The assent of the states, in their sovereign capacity, is implied in calling a convention, and thus submitting that instrument to the people. But the people were at perfect liberty to accept or reject it; and their act was final. It required not the affirmance, and could not be negatived, by the state governments. The constitution, when thus adopted, was of complete obligation, and bound the state sovereignties. “It has been said, that the people had already surrendered all their powers to the state sovereignties, and had nothing more to give. But, surely, the question, whether they may resume and modify the power granted to government, does not remain to be settled in this country. Much more might the legitimacy of the general government be doubted, had it been created by the states. The powers delegated to the state sovereignties were to be exercised by themselves, not by a distinct and independent sovereignty, created by themselves. To the formation of a league, such as was the confederation, the state sovereignties were certainly competent. But when, ‘ in order to form a more perfect union,’ it was deemed necessary to change this alliance into an effective government, possessing great and sovereign powers, and acting directly on the people, the necessity of referring it to the people, ant of deriving its power directly from them, was felt and acknowledged by all. “The government of the Union, then, (whatever may be the influence of this fact on the case,) is, emphatically, and truly, a government of the people. In form and in substance it emanates from them. Its powers are granted by them, and are to be exercised directly on them, and for their benefit. 89. Webster’s Speeches, 1830, p. 431; 4 Elliot’s Debates, 326.
j. 9 Dane’s Abridg. ch. 189, art. 20, § 15, p. 589,590; Dane’s App. 40,41, 42.
k. 9 Dane’s Abridg. 590. 91. Webster’s Speeches, 429; 4 Elliot’s Debates, 324. 92. Even under the confederation, which was confessedly, in many respects, a mere league or treaty, though in other respects national, congress unanimously resolved, that it was not within the competency of any state to pass acts for interpreting, explaining, or construing a national treaty, or any part or clause of it. Yet in that instrument there was no express judicial powers given to the general government to construe it. It was, however, deemed an irresistible and exclusive authority in the general government, from the very nature of the other powers given to them; and especially from the power to make war and peace, and to form treaties. Journals of Congress, April 13, 1787, p. 32, etc. ; Rawle on Const. App. 2, P. 316, 320. 93. In the resolutions passed by the senate of South-Carolina in December, 1827, it was declared, that “the constitution of the United States is a compact between the people of the different states with each other, as separate and independent sovereignties.” Mr. Grimke filed a protest founded on different views of it. See Grimke’s Address and Resolutions in 1828, (edition, 1829, at Charleston,) where his exposition of the constitution is given at large, and maintained in a very able speech. 94. The Federalist, No. 39; see Sturgis v. Crowninshield, 4 Wheat. R. 122, 193. 95. Mr. Madison’s Letter in North American Review, October, 1830, p. 537, 538. 96. See Dane’s App. § 32, 33, p. 41, 42, 43. 97. Chisholm v. Georgia, 2 Dall. 419; 2 Cond. Rep. 668, 671; Martin v. Hunter, 1 Wheat. R. 304, 324; Dane’s App. p. 22, 24, 29, 30, 37, 39, 40, 41, 42, 43, 51. This subject is considered with much care by President Monroe in his Exposition, accompanying his Message, of the 4th of May, 1822. It is due to his memory to insert the following passages which exhibits his notion of the supremacy of the Union. “The constitution of the United States being ratified by the people of the several states, became, of necessity, to the extent of its powers, the paramount authority of the Union. On sound principles, it can be viewed in no other light. The people, the highest authority known to our system, from whom all our institutions spring, and on whom they depend, formed it. Had the people of the several states thought proper to incorporate themselves into one community under one government, they might have done it. They had the power, and there was nothing then, nor is there any thing now, should they be so disposed, to prevent it. They wisely stopped, however, at a certain point, extending the incorporation to that point, making the national government, thus far, A consolidated government, and preserving the state government, without that limit, perfectly sovereign and independent of the national government. Had the people of the several states incorporated themselves into one community, they must have remained such; their constitution becoming then, like the constitutions of the several states, incapable of change, until altered by the will of the majority. In the institution of a state government by the citizens of a state, a compact is formed, to which all and every citizen are equal parties. They are also the sole parties; and may amend it at pleasure. In the institution of the government of the United States, by the citizens of every state, a compact was formed between the whole American people, which has the same force, and partakes of all the qualities, to the extent; of its powers, as a compact between the citizens of a state, in the formation of their own constitution. It cannot be altered, except by those who formed it, or in the mode prescribed by the parties to the compact itself. 98. Mr. Madison’s Letter, North American Review, Oct. 1830, p. 538. — Mr. Paterson (afterwards Mr. Justice Paterson) in the convention, which framed the constitution, held the doctrine, that under the confederation no state had a right to withdraw from the Union without the consent of all. “The confederation (said he) is in the nature of a compact; and can any state, unless by the consent of the whole, either in politics or law, withdraw their powers? Let it be said by Pennsylvania and the other large states, that they, for the sake of peace, assented to the confederation; can she now resume her original right without the consent of the donee?”l Mr. Dane unequivocally holds the same language in respect to the constitution. “It is clear (says he) the people of any one state alone never can take, or withdraw power from the United States, which was granted to it by all, as the people of all the states can do rightfully in a justifiable revolution, or as the people can do in the manner their constitution prescribes.” Dane’s App. § 10, p. 21.
l. Yates’s debates, 4 Elliot’s Debates, 75. The ordinance of 1787, for the government of the western territory, contains (as we have seen) certain articles declared to be “articles of compact;” but they are also declared to “remain for ever unalterable, except by common consent.” So, that there may be a compact and yet by the stipulations neither party may be at liberty to withdraw from it, or absolve itself from its obligations. Ante, p. 209. 99. 1 Tucker’s Black. Comm. 169, 170. 100. 1 Tucker’s Black. Comm. 170. 101. Debates in the Senate, in 1830, on Mr. Foot’s Resolution, 4 Elliot’s Debates, 315 to 331. 102. Webster’s Speeches, 429; 4 Elliot’s Debates, 324. 103. Dane’s App. § 32, p. 41; Id. § 38, p. 46. 104. The following strong language is extracted from Instruction given to some Representatives of the state of Virginia by their constituents in 1787, with reference to the confederation: “Government without coercion is a proposition at once so absurd and self contradictory, that the idea creates a confusion of the understanding. It is form without substance; at best a body without a soul. If men would act right, government of all kinds would be useless. If states or nations, who are but assemblages of men, would do right, there would be no wars or disorders in the universe. Bad as individuals are, states are worse. Clothe men with public authority, and almost universally they consider themselves, as liberated from the obligations of moral rectitude, because they are no longer amenable to justice.” 1 Amer. Mus. 290. 105. Madison’s Virginia Report, January, 1800, p. 6, 7, 8, 9; Webster’s Speeches, 407 to 409, 410, 411, 419 to 421. 106. The legislature of Virginia, in 1829, resolved, that there is no common arbiter to construe the constitution of the United States; the constitution being a federative compact between sovereign states, each state has a right to construe the compact for itself” Georgia and South-Carolina have recently maintained the same doctrine; and it has been asserted in the senate of the United States, with an uncommon display of eloquence and pertinacity.m It is not a little remarkable, that in 1810, the legislature of Virginia thought very differently, and then deemed the supreme court a fit and impartial tribunal.n Pennsylvania at the same time, though she did not deny the court to be, under the constitution, the appropriate tribunal, was desirous of substituting some other arbiter.o The recent resolutions of her own legislature (in March, 1831) show, that she now approves of the supreme court, as the true and common arbiter. One of the expositions of the doctrine is, that if a single state denies a power to exist under the constitution, that power is to be deemed defunct, unless three-fourths of the states shall afterwards reinstate that power by an amendment to the constitution.p What, then, is to be done, where ten states resolve, that a power exists, and one, that it does not exist? See Mr. Vice-President Calhoun’s Letter of 28th August, 1832, to Gov. Hamilton. m. Dane’s Abridg. ch. 197, art. § 20, to 13, p. 589, etc. 591; Dane’s Apr. 52 to 59, 67 to 72; 3 American Annual Register, Local Hist. 131.
n. North American Review October, 1830. p. 509, 512; 6 Wheat. R. 358.
o. North American Review, Id. 507, 508.
p. Elliot’s Debates, 320, 321.
r. North American Review, October, 1830, p. 500.
s. Dane’s App. 67; Id. 52 to 59.
t. Journals of Convention, 83; 4 Elliot’s Deb. 49. U.S. Constitution: treaty or convention or league or contract or compact or a fundamental law?